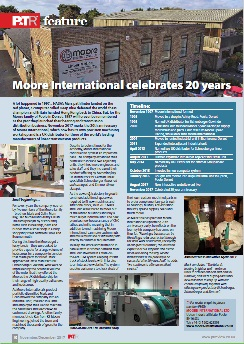 We're very pleased that Machinery Market have chosen to feature Moore International in both their hard copy and online editions for this month. 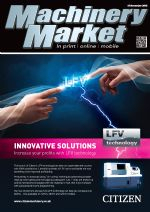 The new Eichenberger 2018 product catalogue is now available as a traditional printed booklet. Moore International’s staff will be on hand each day to discuss your requirements and give you product demonstrations on the full range of Ball & Leadscrews from Swiss manufacturer Eichenberger Gewinde, Satellite Roller screws from Rollvis, the new range of Schneeberger linear guide products and linear clamping and braking specialists Zimmer. Moore International will be exhibiting our range of products from Swiss Ball & Leadscrew manufacturer Eichenberger Gewinde, profiled linear guides from German manufacturer Schneeberger and linear clamps and robot grippers from the German manufacturer Zimmer Group. Drives & Controls exhibition (NEC Birmingham, 10-12 April 2018) is recognised as the UK’s leading show for Automation, Power Transmission and Motion Engineering. It is a biennial event and is co-located with 6 other Industrial exhibitions which will make it the largest Manufacturing/Industrial Event in the UK in 2018. 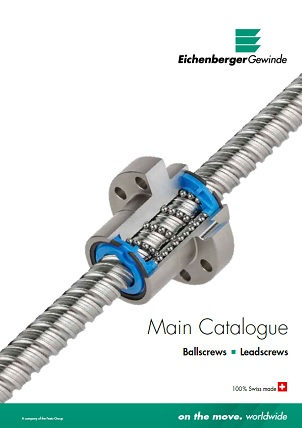 The exhibition has grown over the last decade and in 2016 had over 13,000 visitors..
Ballscrew, leadscrew and linear specialists Moore International have launched a new fully responsive website with a range of exciting and innovative features. 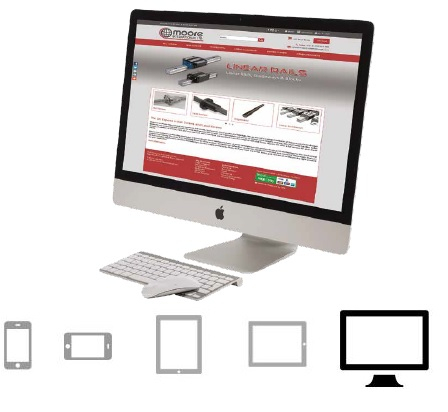 The site not only allows customers to buy online, but enables them to view stock levels of all products, including custom parts made especially for them by the company’s expert team of turners and millers. Customers with call-off orders can simply log in and see which of their parts are on the shelf and ready for delivery. They can also use the secure site to request duplicate invoices and pay their accounts online. Mark Moore, Managing Director, says, "Our continued investment into our business with our new website will be a great asset to our current and future customers, giving them real control over their account and products. The new site also has technical information pages, catalogue downloads and CAD data. Modern websites are a key requirement in any business and our new site will be continually developing to give our customers more product choice and flexibility on how they order. Of course, people can still give us a call on 01202 623393 if they have more complex enquiries or if they simply prefer gathering information by more traditional means."